After my last blog post, I was determined to find the original artwork that Ben Wicks gave me back in grade eight. I looked in every possible nook and book I could think of. Nothing. I convinced myself that it must be tucked between some yellowed volumes in my old bedroom in my parents’ house. As luck would have it, my parents still live in the same house. As luck would have it again, I was at my parents’ house a couple days ago and had the opportunity to empty my old bookshelves. Oh joy! I am happy to have the artwork in my possession once again! I’ve decided to frame it and give it a new place of distinction in my studio. 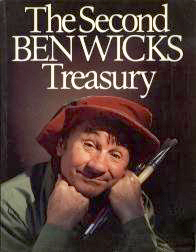 A side note: several years after I met Ben Wicks, I bought “The Second Ben Wicks Treasury” in some random bookshop I happened to stroll by. It’s a wonderful collection. There was a little surprise in it that I didn’t notice right away because I don’t always read books in proper order from start to finish. It must have been a full week after buying the book that I flipped to page 24 and was faced with the cartoon that Ben Wicks had signed and given to me. Last time, I mentioned that I set out to publish a syndicated cartoon six years ago. 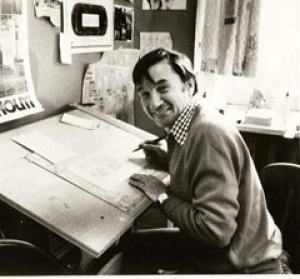 I was telling the story of going to famous cartoonist Ben Wicks’ office when I was in grade eight to get his secret formula for cartooning success. Armed with a tape recorder and my interview partner Kris, we grilled Ben Wicks. Well, I’ve gotta be honest – now that I’ve just listened to the tape of my interview, my grilling amounted to little more than a spark and a wisp of smoke…and I’m exaggerating about the smoke. 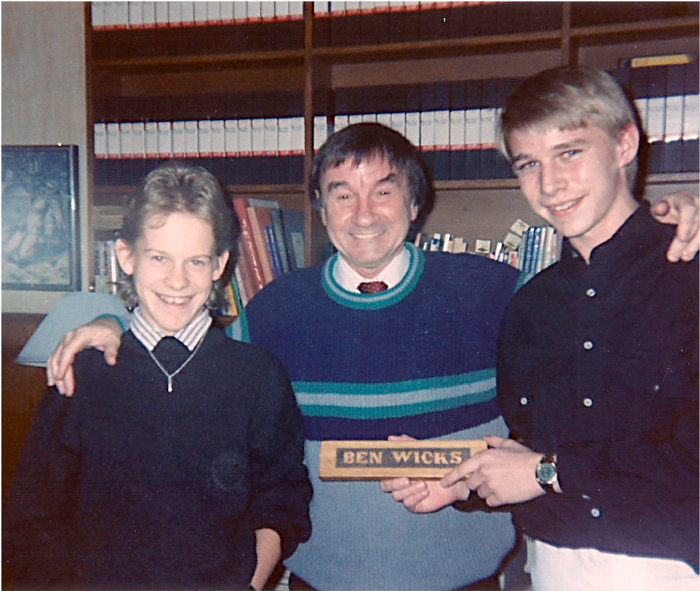 This photo was taken in Ben Wicks’ office after our interview. Pictured here are Kris Platts, Ben Wicks (as if he needs the desk sign!) and myself. After the interview, Mr. Wicks led Kris and I to an enormous set of paper drawers where he slid one giant drawer open to reveal hundreds of original cartoons drawn on postcard-sized cards just scattered in heaps. This is how he kept his published work! It was an amazing treasure trove. He let us each choose one and signed them for us. I still have the cartoon…somewhere. When I got home, I drew a caricature of Ben Wicks and mailed it to him with a letter of thanks. He sent me back a hand written letter of encouragement. I cannot express what a wonderful influence Mr. Wicks has been on me. A true gentleman with a bursting heart of gold. He is dearly missed by all who had the privilege to meet him. Hope you enjoyed this. Next time I’ll let you know how Ben Wicks’ advice has been invaluable to me and why I’m not currently cartooning for a syndicate. I’ll take you to the moment six years ago that led me to the path that I now find myself on. Until then, take care. I’m not entirely sure, to be honest. I know I’m having a wonderful time making books and I have many more to make. But this might very well change. I know because it already has changed. In fact six years ago I had set out to do something very different. Six years ago I decided to make a syndicated cartoon. The idea of making a cartoon didn’t come out of the blue. In eighth grade, my teacher Mrs. Volkwijn asked the class to do a research project on “what I want to be when I grow up”. That’s when I decided to look at “Cartoonist” as a legitimate profession. I wanted to interview one of the most prominent Toronto cartoonists, Ben Wicks. He had a little square cartoon on the bottom corner of Toronto Star’s front page every weekday and Saturday. 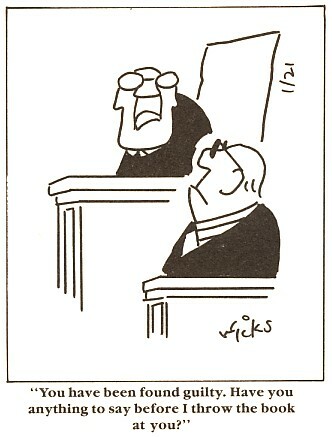 I figured, if anybody knows what it takes to be a cartoonist, Ben Wicks is my man. Besides he was on tv so he must have been doing something right. He was involved in a nationwide public service ad campaign on television during the winter that asked viewers to clear snow and ice from sidewalks. The campaign carried the catchy slogan “be nice, clear your ice”. Ben Wicks lent his signature drawings to the ads and his recognizable voiceover. So, I looked up Ben Wicks in the white pages and called him. Mr. Wicks answered in his famous Cockney accent and graciously agreed to a fifteen minute interview and asked me to bring a tape recorder so he didn’t have to stop talking while I wrote down his answers. My mom chaperoned an outing with my research partner, Kris. Kris was an avid artist like myself but I’m pretty sure I talked him into sharing my future ambitions. We drove to the Yorkdale Mall and took the subway to College station. Wicks had an office above The Red Lion at 449 Jarvis Street. I pressed the buzzer and he let us in. The space was a warm and lived-in office with a computer in the corner by the window and a lounge area with a couch and chairs around a coffee table. After introductions we sat down and I pulled out my enormous tape recorder and plunked it on the coffee table between us. Kris and I took turns asking our prepared questions. I’m back. You didn’t know that I was gone but I was. Anyway, I just took a break from writing to scour my house for a couple things. One of them is a photo my mom took of Ben Wicks, Kris and myself. Found it! I also ransacked my studio to find the dusty old cassette with the actual interview and a Sony walkman to play it. Found those too. It has been a very, very long time since I heard this and I’m actually pretty stoked! I’ll listen to the interview tomorrow. I’ll post the photo and my reaction to the interview in the next post. Stay tuned!